For anyone interested in publishing research about school libraries, Sunday’s panel was the place to be. 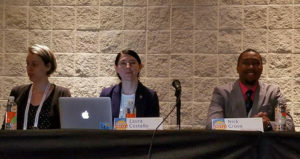 It included insight from Carl Harvey II from School Library Connection, Mega Subramaniam from School Library Research, Nancy Everhart from School Libraries Worldwide, Meg Featheringham from Knowledge Quest, Deb Levitov from Teacher Librarian, and RoseMary Honnold from VOYA. These editors started with the basics about their respective journals. 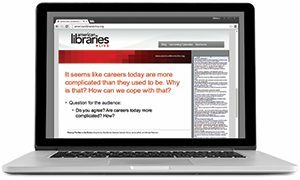 School Library Connection publishes 10 issues per year, offers webinars, and utilizes reviewers. 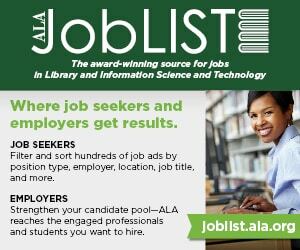 School Library Research is an open access journal that accepts submissions on a rolling basis. Its goal is to promote high quality, original research, and literature reviews. School Libraries Worldwide runs much like School Library Research; one major difference is that its audience is global, as its title suggests. Knowledge Quest is published five times a year and includes themed feature articles and nonthemed articles that are submitted for review to the KQ editorial board. 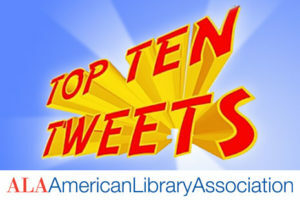 Teacher Librarian includes regular columnists, a peer review board, and publishes five nonthematic issues per year. VOYA is not a school library journal but instead focuses on services to teens in public libraries. All of these publications include some form of a reviewing process. Subramaniam explained that editors would first scan articles to make sure they’re fitting to the rest of the journal and that “most of the time, [an article is] rejected because it’s not fit for School Library Research, but it’s fit for Knowledge Quest.” If an article is deemed suitable by blind reviewers, the journal will then work with the authors on revision. Featheringham let the audience know that Knowledge Quest has 15-17 bloggers, so there are multiple ways to get involved. Wrapping up, the editors encouraged audience members to approach them with ideas. “Contact one of us and let’s talk about it,” Harvey said. “One way to assure you’ll never get published is to never talk about it.” For more information, writers can find submission guidelines on each journal’s website. KARA PAULEY is youth service coordinator at Dowagiac District (Mich.) Library.